This page is dedicated to my dear, dear friend Fontilla Timmons. On August 4, 2014, this great lady left us to join that great Apollo Theatre in the sky. It has taken me a long time to write this. Understandably. Fonni was an icon in Olean and I dare say in a greater part of upstate New York and Pennsylvania. She was an unselfishly charitable soul, always willing to lend a hand and ever ready to stand up for you. And her God given gift: man, could she sing. Fonni could hold her own with the best of them–Etta, Areatha, Sarah, oh yeah! She was blessed with that voice, yet she was not pretentious. It was God’s gift and she honored it as such. After success in New York City, she blessed us with her presence, uplifting spirit and voice. And we are so grateful. 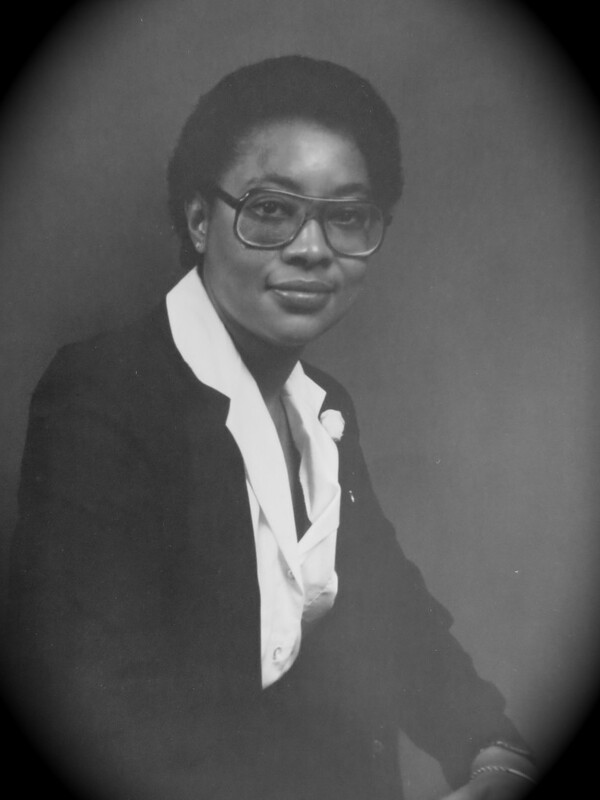 From 1:00 to 6:00 PM on Sunday, September 21st, Fontilla’s friends will be hosting a dish to pass family style picnic to honor her with songs, poems and word remembrances of this great friend to all. Everyone is invited. Bring your own beverage (keeping in mind that this is a family affair) and a dish to pass or a monetary donation to help buy hot dogs and fixings to be available. Again, please remember that this event is for the whole family. Three best friends since the day we met over forty years ago. —And one who danced to her own drum beat. Our common bond was and has always been, our deep love for each other and our true relationship with God. Always, always, we were there for each other and we knew it. ‘Round in that circle of four–the first being God–we had each other’s backs. Fonni was the smallest, but the one feistiest. Heart of gold yet “no tea for the fever” if it came to standing up for what was right. Earlier in her illness, I told her that she had better get well, ‘cause she wasn’t allow to break this circle. I realized that she didn’t break the circle, that she couldn’t break our circle, it would always remain unbroken because Fontilla will always be in our hearts — will always be with us in spirit. —– We are still the Three Musketeers. We are blessed with the memories of our shared lives. We will smile remembrances when we hear a ‘what’s up Doc?’ And that’s the way it should be. To paraphrase our mutual friend, Terry Bellamy: “Anyone who hasn’t experienced a soul touching other souls, did not know Fontilla Timmons”. 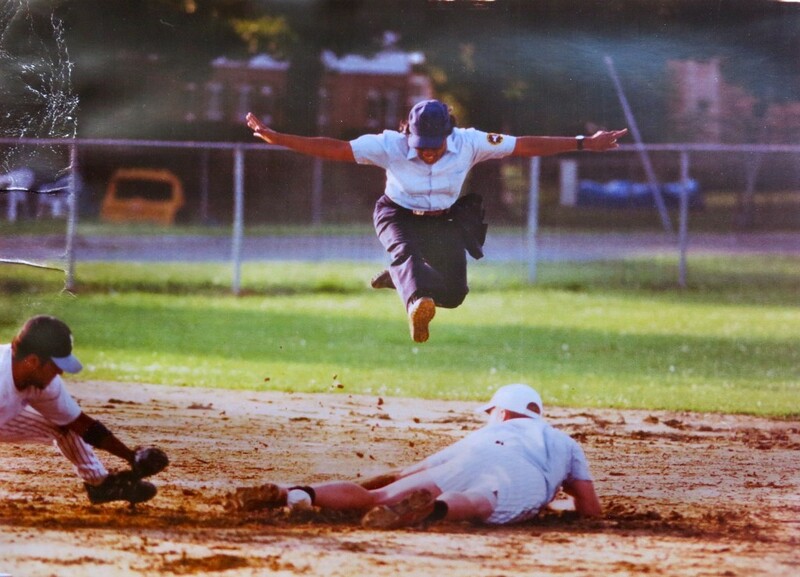 Umpire Fontilla making a leaping call. Look at the smile on her face. Is she having fun or what? This is the photo that hangs on our Center’s ‘Sports Icons Wall of Fame’. 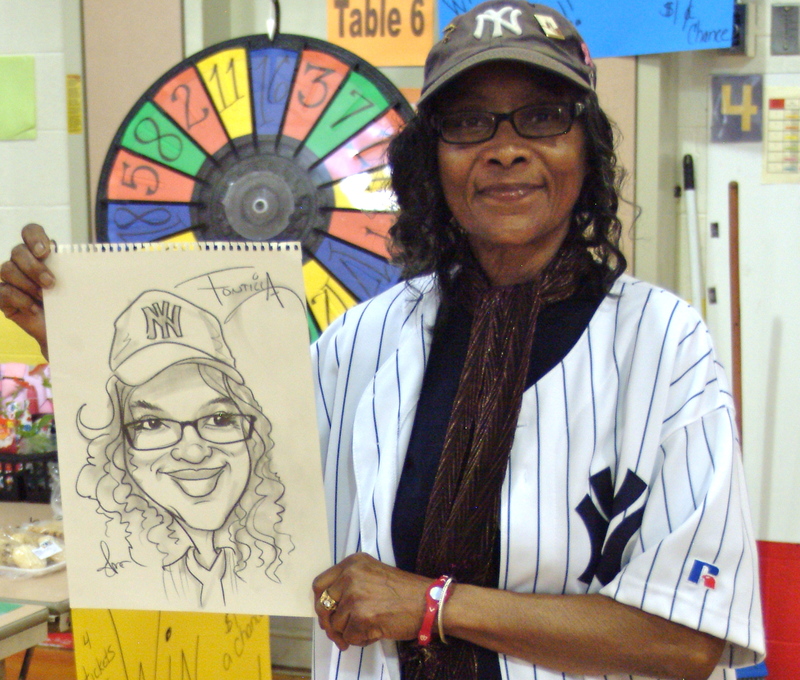 Fonni loved her New York Yankees. This is one of the last photos I took of her. Rest In Peace Fontilla. We miss you. We love you. To value, promote and integrate the rich and diverse history and culture of the Southern Tier Region of New York State through the celebration of the talents, lives, and history of the African Americans in the region.